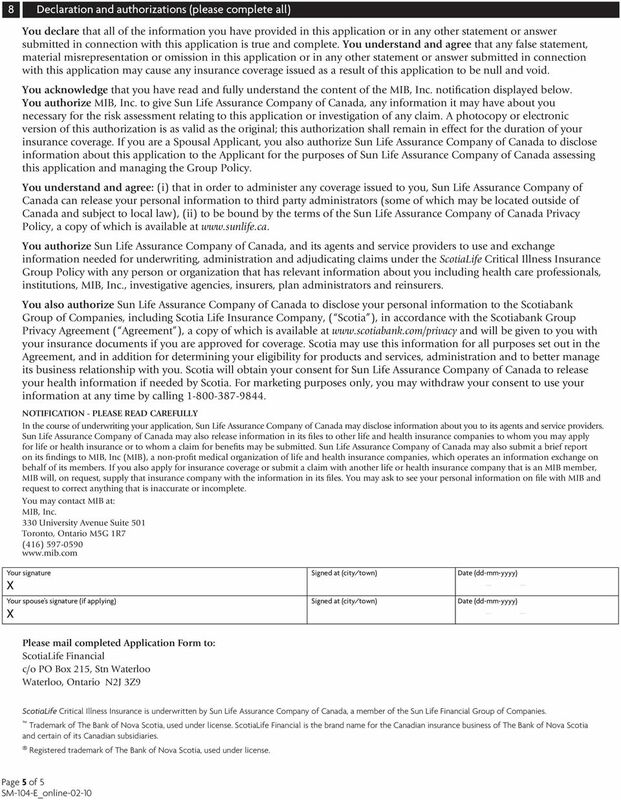 Download "ScotiaLife Critical Illness Insurance Application"
Please PRINT clearly in ink. 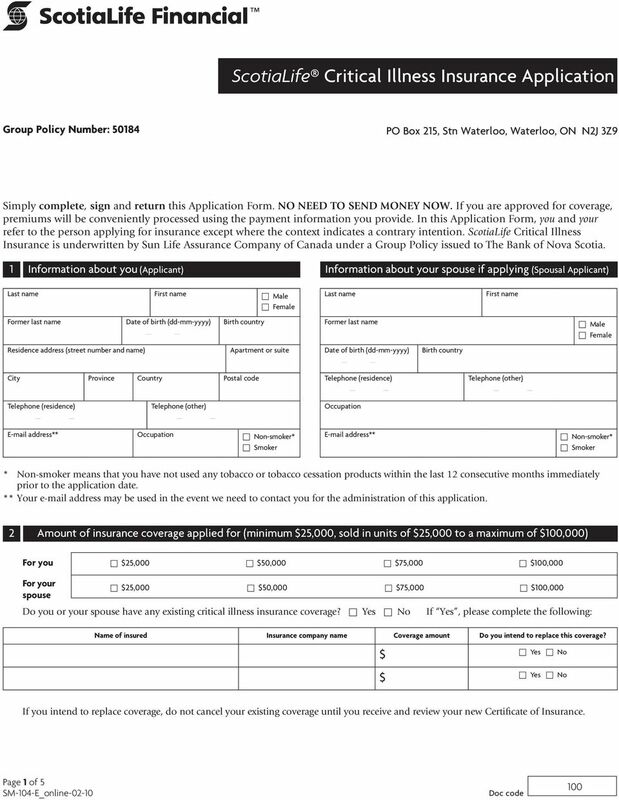 1 Member information Application for Disability and/or Professional Overhead Expense Insurance In this application you and your refer to the person applying for insurance. 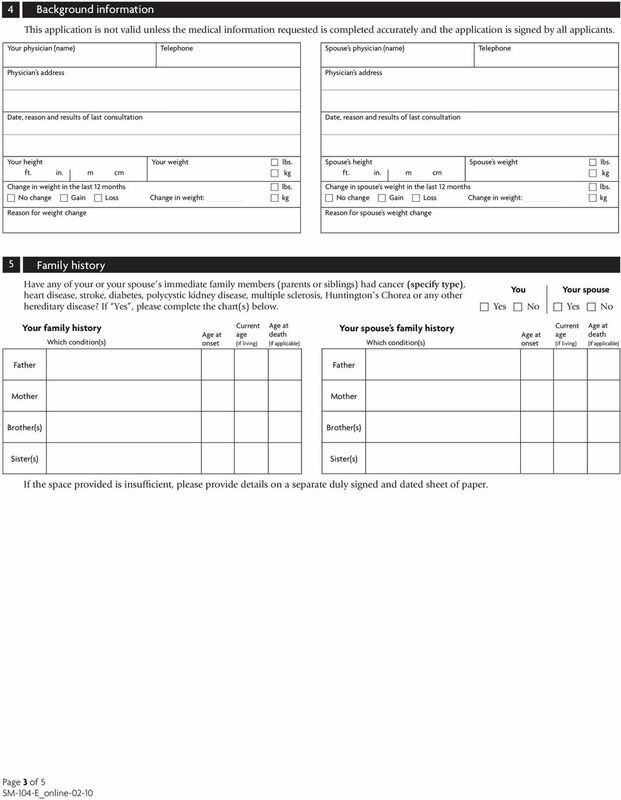 You can either complete this form here on screen or print it off and complete it by hand. 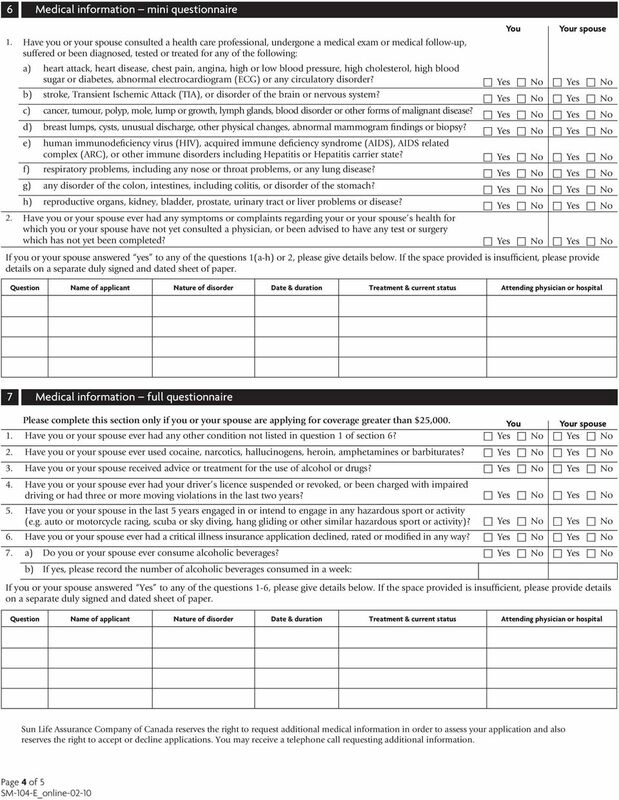 Either way you will need to print it off, sign it and physically post it to us through Despatch or via Royal Mail. 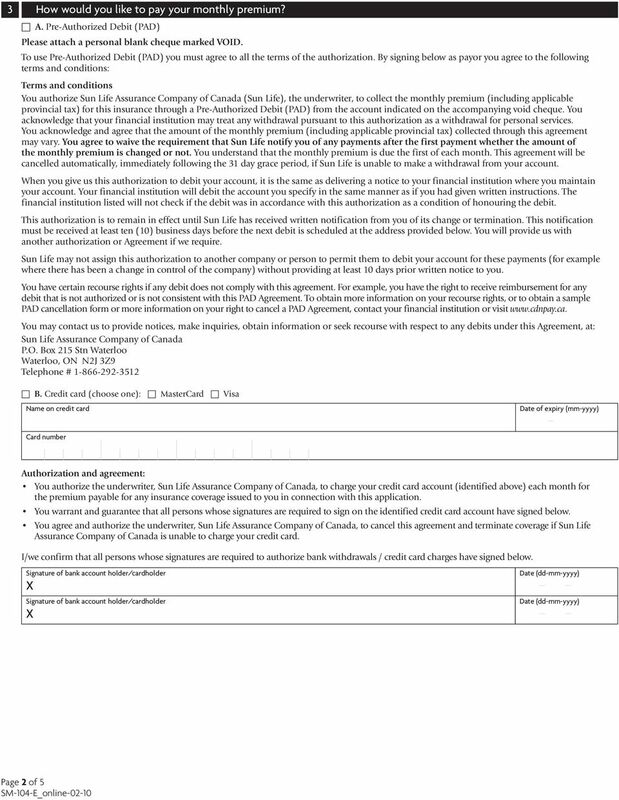 Use a separate piece of paper if you need any more space for any of your answers but please sign and date it.